American Jewish University is a thriving center of Jewish resources and talent built upon the mission of Jewish Learning, Culture, Ethics, Leadership and Peoplehood. In 2007, the University of Judaism merged with the Brandeis-Bardin Institute, creating a landmark entity, from then on known as American Jewish University. This new organization now boasted two campuses, a single vision and a shared future. 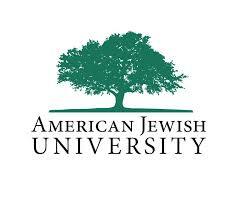 Today, American Jewish University is one of the largest and most innovative Jewish institutions in the country.